​Verdeo is a super tasty and completely vegetarian restaurant in Medellin’s El Poblado neighborhood. Featuring daily specials, vegetarian takes on Colombian classics, and modern creations, it’s on the pricier side but well worth the dinero. They also have some great juices. If those weren’t enough reasons to send you to Verdeo, the restaurant has a fresh decor both upstairs and down, so you can enjoy your meal in style. Go. Now! 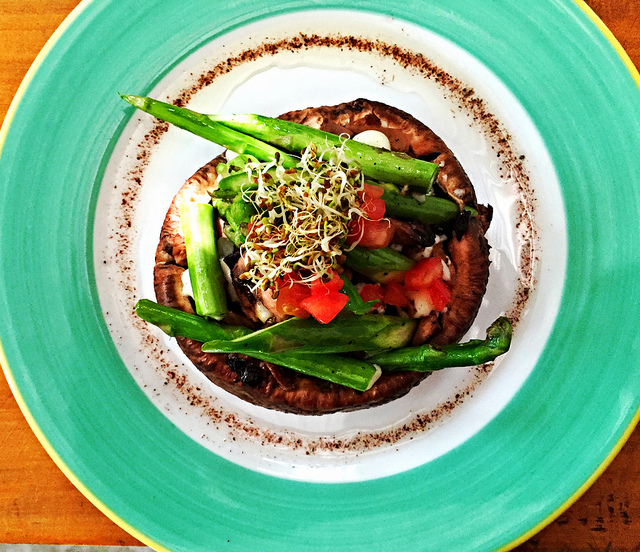 The portabello mushroom and asparagus appetizer (see photo) is amazing! And the fresh juice is sooo good.